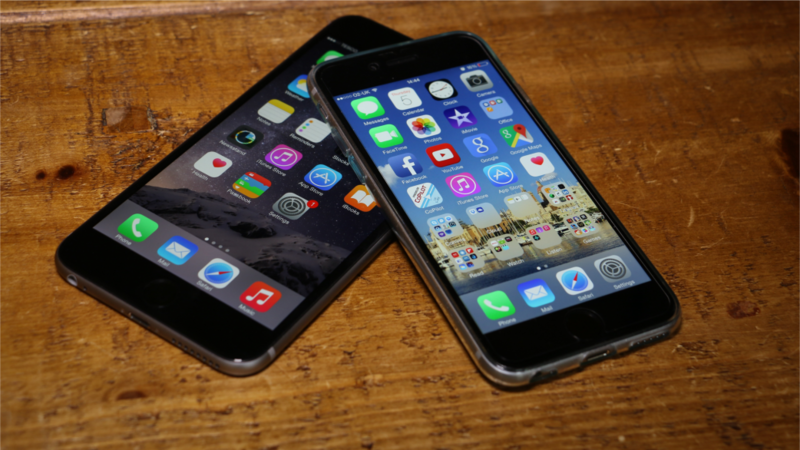 Having reviewed both the iPhone 6 and iPhone 6 Plus – it’s now time to test them against each other. What are the differences? Is the 6 Plus too big? Which is better? Which should you buy? I will attempt to answer all of these questions by comparing the 6 and 6 Plus in 5 different categories: Design, Display, Performance, Battery and Camera. The main differences between the two devices, other than the obvious difference in size, is that the 6 Plus features a 5.5″ 1080p (401ppi) display which is substantially sharper at 401ppi than the iPhone 6’s 4.7″, 1334×765 (326ppi) display. Not only does the 6 Plus have a bigger and sharper screen, but it also features Optimal Image Stabilisation (OIS) on the camera and thanks to it’s larger battery, a substantially longer battery life. Better camera, better battery, better display – all pretty good reasons to opt for the iPhone 6’s bigger brother – but it’s not quite that simple. The higher resolution 6 Plus means the same A8 processor and 1GB of RAM are pushing 2.7 million pixels, far more than the 1 million pixels of the regular 6. This means that the iPhone 6 is actually slightly faster than it’s bigger, more expensive brother – although this is only really noticeable in synthetic benchmarks. So it’s not quite as simple as ‘This ones better, buy this one“. There are a lot of points to consider, but aside from the slightly different hardware the main issue for most people is whether the 6 Plus is simply too big. It can have all the bells and whistles in the world but if it’s uncomfortable to use – you won’t want to buy it. I take all this into consideration in my video comparison below. Hopefully it answers any questions you have, but if not please do leave a comment with your thoughts and any feedback. If you do enjoy my videos please subscribe – it makes all the difference!